Bobby Hull is a retired NHL and WHA hockey player who played for the Chicago Black Hawks in the NHL from 1957 to 1972 and the Winnipeg Jets in the WHA from 1972 to 1979. After the WHA disbanded, Hull played for the Winnipeg Jets again in the NHL from 1979 to 1980. Hull briefly went into retirement then joined the Hartford Whalers in the same 1980 season. Hull went into retirement again and then came out of retirement once more in 1981 to play for the New York Rangers. Bobby Hull was inducted into the Hockey Hall of Fame in 1983 and was inducted into the Ontario Sports Hall of Fame in 1997. Bobby Hull’s number 9 was retired by the Chicago Blackhawks in 1983. PFP Sports Talent Agency is a top booking agent for motivational sports speakers and sports personalities. 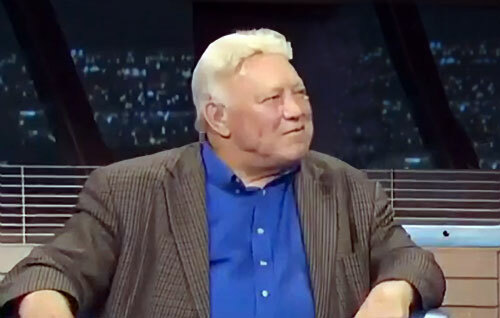 If you would like to book NHL stars like Bobby Hull for a speaking engagement, personal appearance or special event, you can request Bobby Hull agent and speaker information from PFP Sports Talent Agency or call 800.966.1380.